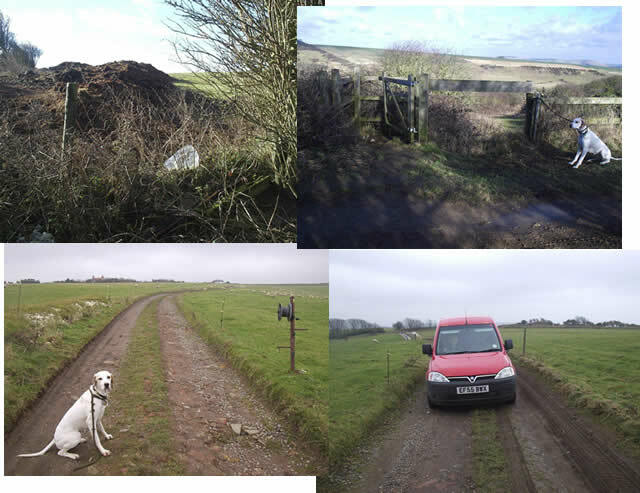 Illegally opened up a public bridleway as a public road running alongside an unprotected scheduled Ancient Monument, a Bronze Age cross-dyke. If a member of the general public did it, it would be a criminal offence. The Police, however, say they can do nothing about it – because, as far as they are concerned, the public road is still a bridleway. That’s not all. Even the Police have been illegally directing Travellers to Telscombe Tye even though it is a criminal offence to direct people to camp on a public common. The total cost of the Council’s illegal campaign against riders is estimated to be well over £1 million, paid for, of course, by local residents. 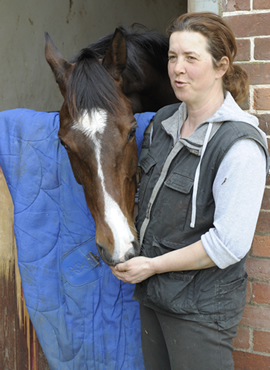 Fighting them every inch of the way has been mother of three, grand-mother of five and local rider, Jackie Rowland, who since 1987 has kept her two horses, Chilli and Sadie at stables in nearby Swanborough village. Now finally after practically six-years of virtually non-stop battles, no end of committee meetings late into the night, one public inquiry, several appeals and no end of local hearings, she believes she is seeing the first signs of success. Maybe. She has had a meeting with members of a newly-elected Telscombe Town Council. She has also just been appointed a member of the Council’s newly-formed Tye Management Committee, which includes local residents as well as representatives of Ramblers associations. But she is not too hopeful. Says Jackie, “The Council promised to put in a new bridlegate on the Common, near Telscombe Town. They have put in the ramp leading up to the bridlegate. But no bridlegate. 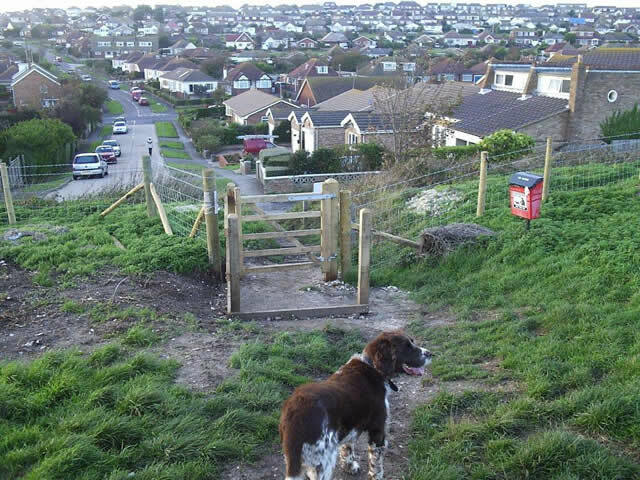 They also promised to re-instate the entrance at East Saltdean. But so far there is no new entrance. But however much the Council does – and when - it still doesn’t excuse the long list of fierce anti-horse measures they have taken over the years or make up for the long hours of hard work, dedication and sheer grit that Jackie and her local supporters have put in fighting for the cause of horse and rider not to mention the numbers of riders who have been driven off the common by the Council’s fierce, illegal anti-horse attitude and actions. Telscombe Town Council acquired the Tye in 1989. The management of it, they sub-contracted to the Sussex Downs Conservation Board, which is funded by East Sussex County Council. But the Council retain the ultimate responsibility for it. Since then, however, the area has been subjected to one illegal measure after another. Over 10 kilometres of illegal fencing have been put up by the Council across the Common. No less than seven bridleways have been fenced over. Fences have been put in the wrong place, in effect, preventing public access to large areas of the common. 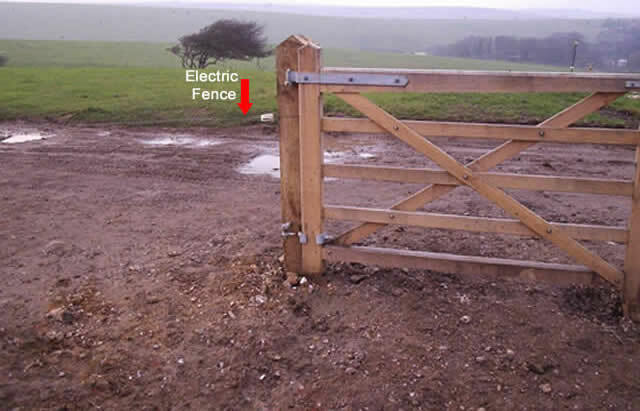 Bridleway gates have also been put in completely the wrong positions. 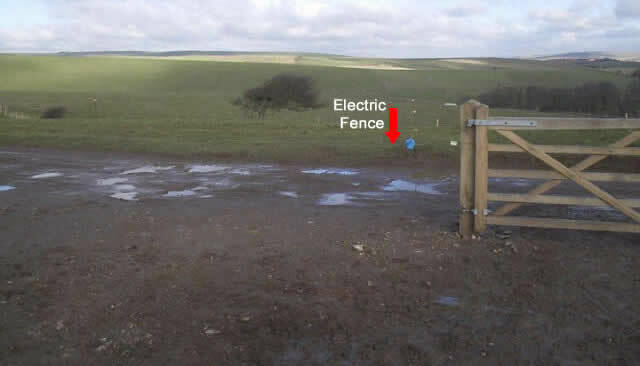 Illegal electric fencing has not only been installed along bridleways, it has been attached to bridlegates as well. 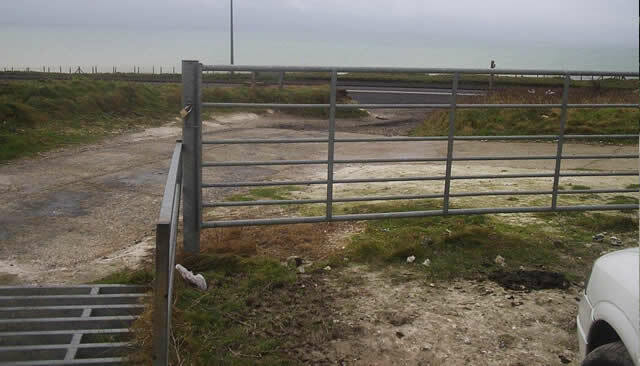 Illegal cattle grids have been positioned both ends of two bridleways. The first is known as the Old Funeral Road. The other is known simply as Bridleway 8. Illegal cattle grids were also installed on Bridleway 4 as well as on a bridleway which should be on the Ordnance Survey map but isn’t. "She stood up for our rights. She fought our case. She was brilliant. 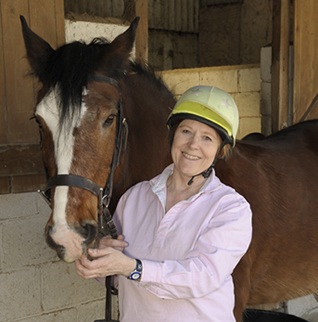 Everybody who rides on Telscombe Tye now and in years to come owes a deep, sincere debt of gratitude to Jackie. If we don’t have people like Jackie fighting for riders rights, they’ll trample all over us and we’ll end up having nothing." To mark Jackie’s patience, persistence, hard graft and determination to fight for Riders Rights on Telscombe Tye, Camilla says she would like to see the Old Funeral Road, which runs across the top of the Tye renamed Jackie Rowland Way. 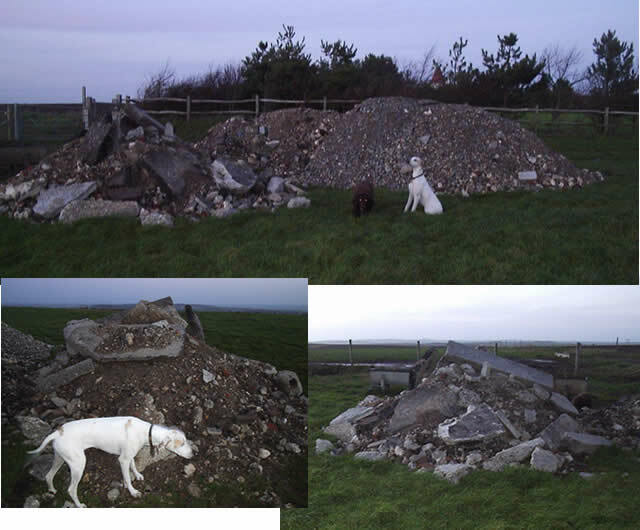 Illegal piles of concrete blocks and boulders have been allowed to be dumped in front of bridlegates on Bridleway 4 completely preventing them from being used by riders. Telscombe Town Council have admitted that it took over 450 lorries to dump the waste on the Common. Yet when Jackie checked with the Environment Agency, under the Freedom of Information Act, she could only discover official waste transfer forms, which have to be completed for each lorry load of waste moved from one place to another, for just 30 lorries. What’s more, the forms were for waste all dated “November 2004” when the dumping had already been stopped at the end of September. Up until four-years ago, the only way to drive from Lewes and Kingston to Peacehaven was by going to Newhaven and along the A259 coast road to Telscombe. Now because Telscombe Council have illegally widened a bridleway, it is possible to drive most of the way from Kingston over the top of the Common direct to Telscombe. In 2006 all vehicular rights that might have existed to drive across the Tye were abolishedby the Government. But Telscombe Town Council, East Sussex County Council and the Police are all allowing vehicles to use the bridlepath as a road. 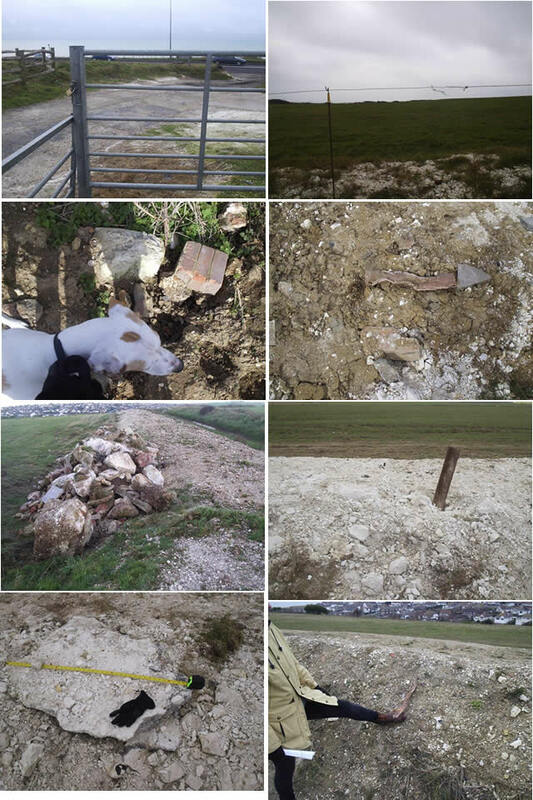 Not only is this, yet again, forcing local riders off genuine, legitimate bridlepaths, it is also severely damaging the completely unprotected Bronze Age cross-dyke, which runs alongside the road way, as well as encouraging more and more late-night fly-tipping which is further damaging the Ancient cross-dyke. Says Jackie, “This is the final straw. Having destroyed everything we hold dear, the Council are now destroying our ancient culture as well. The Council has been doing everything it could to absolutely, deliberately and disgracefully stop riders using perfectly legal bridleways across the Common. Access points have been blocked. Gates have been locked and bolted. Bridleways have been buried not in piles but in literally mountains of rubbish.